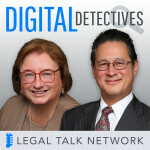 Nicole Black is an attorney and the Legal Technology Evangelist at MyCase. Her legal career spans nearly two decades and she has extensive litigation experience. She was named an inaugural ABA Legal Rebel in 2009 and an inaugural Fastcase 50 in 2011. She is also a well-known legal technology author, journalist, and speaker. She wrote “Computing for Lawyers” (2012) and co-authored “Social Media: The Next Frontier” (2010), both published by the American Bar Association. She also co-authors “Criminal Law in New York,” a Thomson West treatise. She often speaks at conferences about the intersection of law, mobile computing and Internet-based technology. Nicole “Niki” Black talks about the legal profession’s reluctance to embrace technology and why lawyers must become more tech proficient. 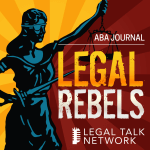 At ABA TECHSHOW this year, Molly McDonough catches up with Legal Rebel Nicole Black. Bob Ambrogi discusses the advantages of practice management software with Niki Black, legal technology evangelist at MyCase. Professional advantages of cloud based technologies and steps lawyers can take to mitigate the cybersecurity risks these technologies expose them to. Why Do Lawyers Love Wearable Technology?